This I2C LCD backpack allows you to use I2C protocol with your LCD drastically reducing the number of pins needed to control your LCD to just 2! 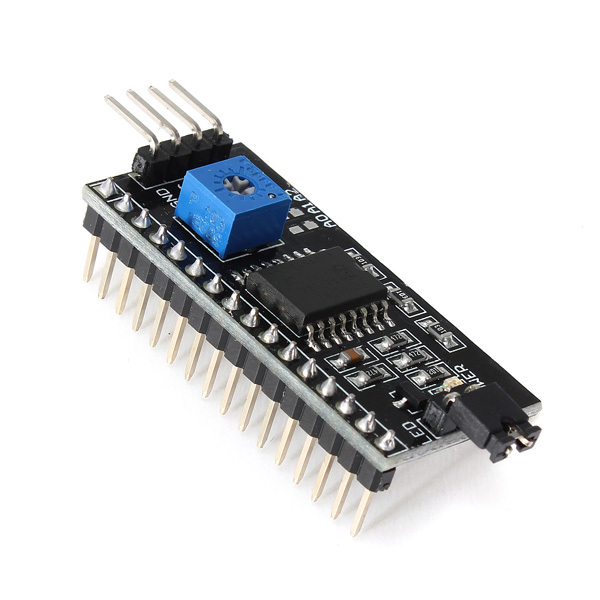 The module uses a PCF8574T driver. There is also an onboard potentiometer to control the LCD backlight and a jumper to disable it completely.